The film of the Woodstock Festival was prepared for release in the spring of 1970, they also appeared in and performed music for underground cult film Zachariah where Joe is the leader of a band of outlaws in the old west, carrying amplifiers on their horses and calling themselves "The Crackers." When Woodstock, the movie hit the theaters, "Fixin' To Die Rag" was in the middle of the film, with its lyrics spelled out, highlighted with a bouncing ball, including the "Cheer" and copious remarks about how many people seemed to be in the audience. So what a recording, some airplay and countless performance could not do, the film did instantly. It brought the band's anti-war message and the "get stuffed," we-don't-like-what-you're-doing-ness of the "Cheer" into movie theaters all over the world. In short, all of a sudden 5 years after its debut at a demonstration in Oakland it became an anthem. At the same time, they released their last LP for Vanguard C. J. 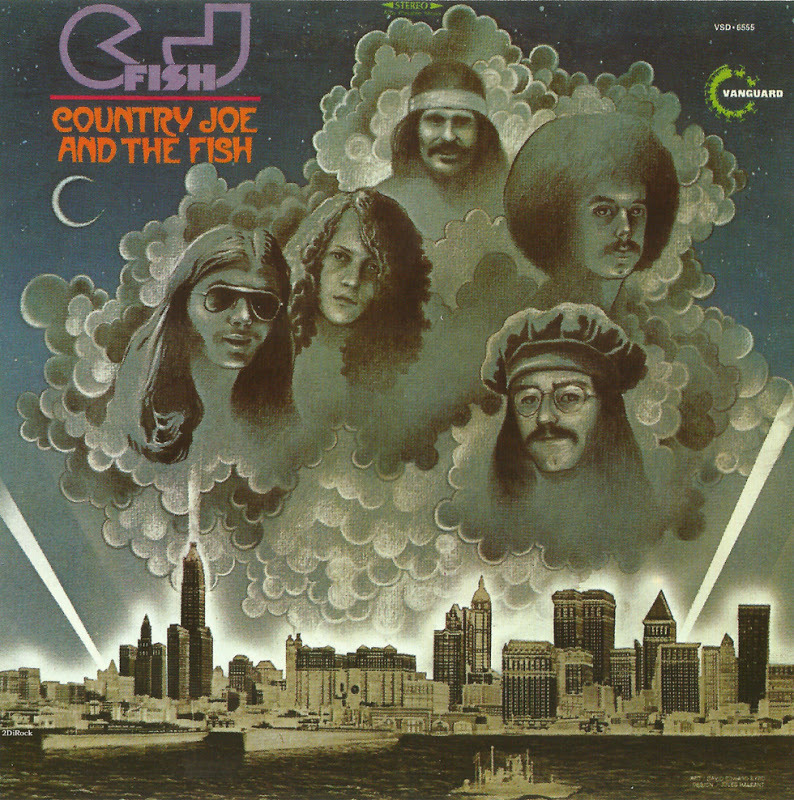 Fish which with a new keyboard player and rhythm section was produced by Tom Wilson. 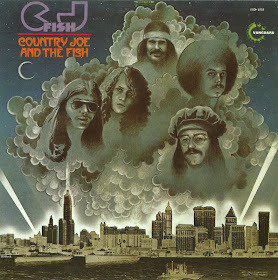 They retained, however, their primary composers Barry Melton and Country Joe MacDonald, keeping the sound and style of the original band. Most of the lyrics are thoughtful and bright; many are in rhyme as many of that time were. The overall timbre is interesting, being both joyful and sobering at the same time. 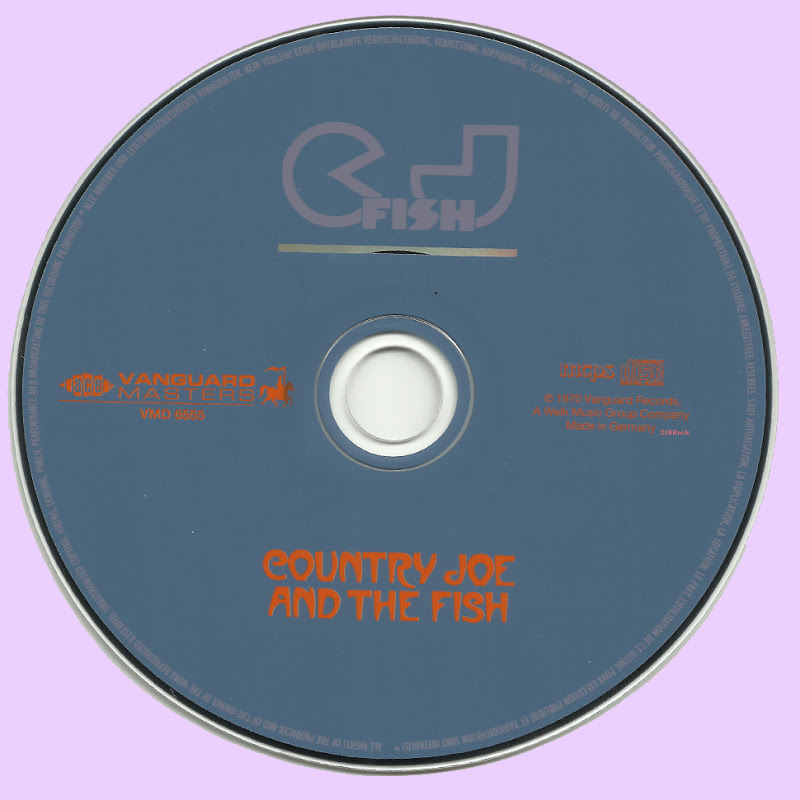 Some bright spots in the material are "Hey Bobby," "She's a Bird," and "Hang On," which are delightfully Country Joe. 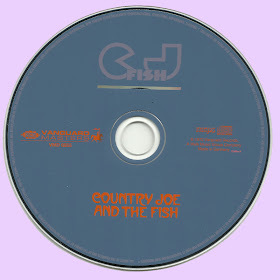 Overall it's not a bad album and no Country Joe and the Fish collection is complete without it. Thanks so much Marios! After 40 years of only knowing these guys from the Monterey and Woodstock compilations I'm finally getting an opportunity to complete the picture. Much appreciated! I just finished listening. It was even better than expected. A really strong finish for a great band. Barry Melton is fantastic. Gracias, nos has regalado joyas imposibles de conseguir. can anyone help pleas ? i'll soon be entering my 60's, & re-viewing the 60's will be a source of great joy. Big thanx! !